With the hustle and bustle of E3 finally over, I am getting time to sit down and write down the most memorable things I saw. The one that jumped out at me the most had to be Metal Gear Solid V: The Phantom Pain. From the exceedingly long trailer during the Sony Press conference to the hour long demo shown off at the Konami booth, Metal Gear is a game that showed very well at this year’s show. Sitting down to watch the hour long, strictly hands off demo, I was expecting a game that offered little new in ideas but packed with graphical fidelity. What I actually got surprised me, a game that looked gorgeous and from what was shown, seems to be a more fluid experience. MGS5 seems to be cherry picking the best of the series and dropping them all into this one game. Executing missions in an open world sandbox is an exciting new direction for the series. It shows the true freedom of what Metal Gear can be and how it will allow for many play styles. From the choices to go in gun blazing to taking the stealthy, non-lethal approach, the game is made to be played the way you want to. The Phantom Pain also expands on the Mother Base concept seen in the portable Peace Walker game. Players can capture rather than kill the enemies on the field. From here you can then send them back to Mother Base to be used as soldiers for the cause. Once back at base, recruits can be used to produce new weapons, Intel, or items for missions. One noticeable item you can call from Mother Base was the trusty cardboard box. The iconic image of the series is back, only this time it appears to have a few improvements to ensure its usefulness on missions. Beyond just being used as a hiding place, the cardboard box now allows for taking out enemies by popping out of the box, using items in it, and even jumping out to use the box as a decoy. The Boss appeared to be much more agile from the demo that was shown. The Konami staff claims that new moves are included in Phantom Pain above and beyond what was seen in the Ground Zeroes preview that came out earlier in the year. The last, and most interesting part of the demo showed off going to Mother Base. This section lets you see everyone you save or capture along with all the gear you have taken back from the mission. It also is interesting to note that everyone’s Mother Base will be unique to them. As you play though The Phantom Pain, it will be built up to suit your needs and your play style. Each artillery launcher, jeep or member of the crew will be selected by you, the player. This should lead to some exciting gameplay, that if done right will make each play though of the game exciting and new. The Phantom Pain may not be a revolution of the Metal Gear series, but it is an evolution, taking some of the best aspects from past games and meshing them together into a truly interesting package. If Konami and Kojima pull it off, it is poised to be one of the must own games of this generation. But as with anything at E3, we will have to wait and see how it all turns out. Sound off, what is the most exciting game for you from E3 this year. 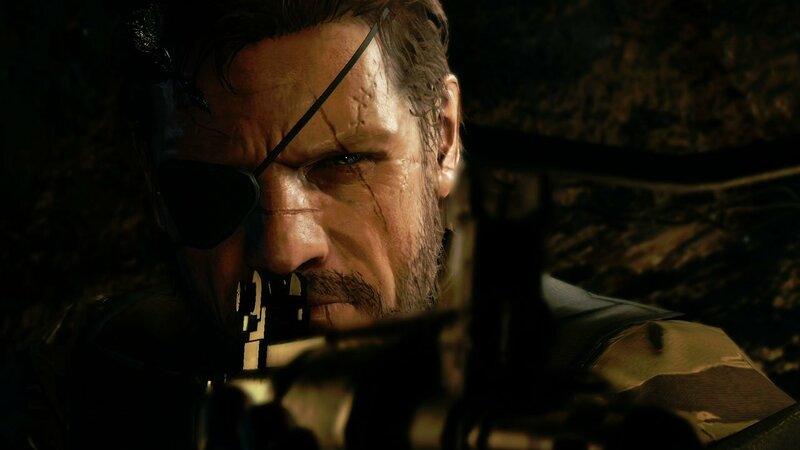 Is Metal Gear Solid V: The Phantom Pain even on your radar? Let us know in the comments section bellow, we are eager to hear your take!